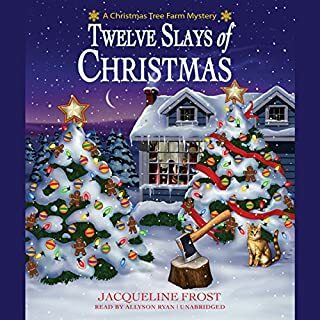 Promoting her latest books brings best-selling mystery writer Jessica Fletcher to New York for Christmas. Her schedule includes book signings, chat-show appearances, department store shopping...and murder. But it all begins with a sidewalk Santa staring at Jessica with fear and recognition. Indigo Tea Shop owner Theodosia Browning is lured into attending the Heritage Society's "Pirates and Plunder" soiree. But it's an antique diamond skull ring that gets plundered by someone who murders a history intern in the process. Theodosia knows she'll have to whet her investigative skills to find the killer among a raft of suspects. Some say that casting crusty attorney Allen Sharpe as Scrooge in the Kindred Players production of A Christmas Carol is just playing to type. He's not the most beloved man in town. In fact, you'd have a dickens of a time finding someone who liked him. Still, it's a shock when the Ghost of Christmas Past stabs him during the first rehearsal. 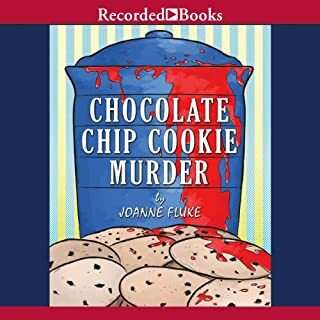 Suzanne, the co-owner of the Cackleberry Club Cafe (Kindred's favorite combination diner, craft store, and bookshop), chases the murderer out of the building but loses him in the alley. As the days pass, the list of suspects grows longer. Mary Daheim's wonderful world of Hillside Manor is zany, engrossing, and positively addicting! In Suture Self, Judith McMonigle Flynn is scheduled for a hip replacement. Instead of looking ahead to her new mobility, she's worried. "Routine surgery" recently cost a local actress and a star baseball pitcher their lives. Though Judith smells malice, she successfully survives her operation - but another patient isn't so lucky. 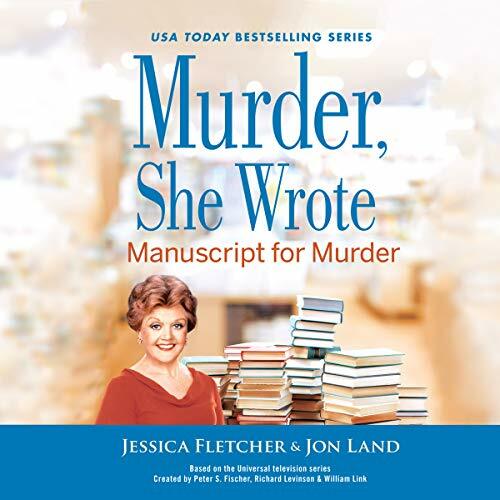 Jessica Fletcher has had plenty to worry about over her storied career, both as a best-selling novelist and as a part-time sleuth. But she's never had any reason to doubt her longtime publisher and trusted friend, Lane Barfield. When mounting evidence of financial malfeasance leads to an FBI investigation of Lane, Jessica can't believe what she's reading. So when it appears that Barfield has committed suicide, Jessica takes on the task of clearing his name. Sure enough, Jessica turns up several inconsistencies in the case against Barfield, as well as signs he might have been murdered. Jessica knows something is being covered up, but what exactly? At the heart of her investigation is a manuscript Barfield had intended to publish, after all other publishers had turned it down. The problem is the manuscript has disappeared, with all traces of its submission and very existence having been wiped off the books. Jessica's search for answers immerses her in a shadowy underworld and puts her on a dangerous path that leads all the way to the White House. With her own life now in jeopardy, Jessica refuses to back off and sets her sights on uncovering the truth behind what lies in the pages of the mysterious manuscript, as well as the identity of the person who penned it. 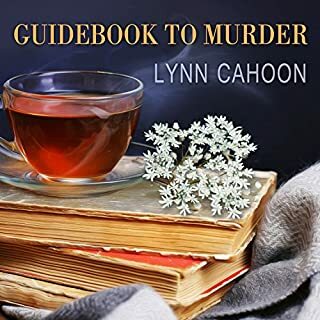 But will she close the book on the case before the killer can write her obituary? 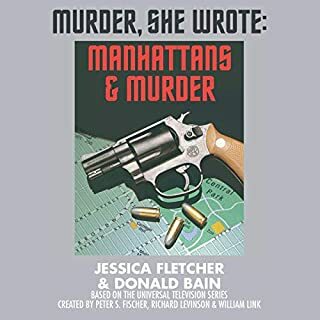 Joh Land, although an excellent author in his genre, completely missed the charming grace, elegant calm and intelligent detective that long time Murder She Wrote followers expect from the Jessica Fletcher character. 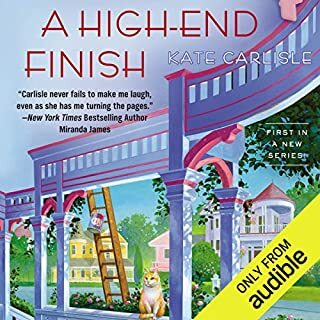 The narrator had no idea what the various accents were, or who should have been speaking in what accent, by example Mort The Cabot Cove Sheriff is from NYC and moved to Maine. As I read through the book I kept thinking, that's not the way the Jessica Fletcher character thought or acted. Then the farcical ending was too much. I won't be reading/listening to any more by this author. Quite a change from the original cozy mystery of this series. Hard to picture Jessica Fletcher in a fast paced political thriller. Kind of ridiculous actually. The new author is fabulous, much better than Bain. Jessica is reborn with depth, feelings and reveals her toughts and feelings in a way I never saw in Bain’s book. The plot is very interesting and events happen with twists and surprises . This is the best MSW book in years! I have all the previous ones by the way and it resembles the Jessica I know from Tv. I am a fan already! The audible version is even better! Loved the story line but didn't like the narrator. The narrator made it hard to want to finish the book. Fabulous narration. The dialogue was witty and improved; made me laugh out loud. The plot was a little be over the top in the second half. Thoroughly enjoyed this and think it is an improvement for a beloved series. The first half was wonderful with interesting and some quirky characters, especially the private detective (loved him). Developing Mort's character was great. I'm only holding back on five stars for the story as I don't view Jessica as such a danger-seeking adventurer. I could change my mind on that. I thoroughly enjoyed the book. I look forward to the next in the series with Jon Land. Please keep Laura Lefkow as narrator. She really made it happen. Jon Land is a captivating story teller. 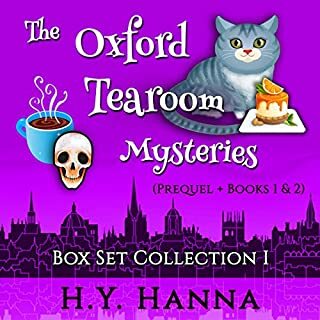 A mesmerizing plot which was a cross between a classic cozy mystery and a good-natured thriller. Frankly, it's the first Murder She Wrote book that I found myself completely immersed in the pages. I may, however, understand why some gave this book negative reviews. This book definitely focuses on the story and not on Jessica Fletcher. I think people read the series because they want to imagine themselves in Jessica's life. With Donald Bain, the murder plot was secondary to the protaganist while Mr. Land's book focuses on the narrative. I'm actually going to check out his other books, he's that good. The narrator is talented as well. I felt completely lost in the story, at times feeling as if i was standing right next to Mrs. Fletcher. The various voices the narrator uses are sophisticated and well developed. My only complaint is some of the male voices were difficult to distinguish apart. If you are hoping for the type of gentle, clever story that Donald Bain would have written, prepare yourself for some disappointment. This is written as an absurd thriller. It will stretch your ability to suspend your disbelief to the utmost. Jessica may as well start beating up bad guys and carrying a concealed weapon. Very disappointing!